What are the benefits of on line booking ? What are the main drawbacks of travelling with my own golf bag ? Where can I pick up my clubs after booking on line ? What are the fees asked by the airline companies for excess luggage ? May I modify my booking ? Which documents shall I present to pick up my golf bag ? Will the MyCaddyMaster golf clubs suit me ? How do they compare with my own clubs ? What to do if I arrive late or if I want to extend my stay? Do I have to rent both golf clubs and car to go to the Hertz desk ? How to book a car and a golf bag ? Do they come from leading manufacturers ? How to receive the booking voucher to be presented at the desk ? Is it compulsory to rent a car from Hertz ? 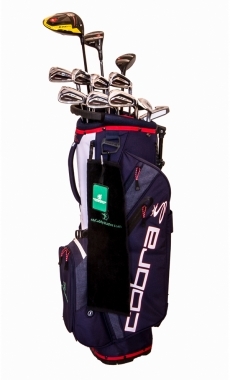 How can I customize my golf bag ? Do I have to queue twice for collecting my MyCaddyMaster golf bag and my Hertz car ? May I change my clubs during my stay ? When shall I receive my mail confirming my booking ? How can I protect my clubs from breakage and theft ? How to receive my password ? Are the MyCaddyMaster-Hertz desks always open ? Where shall I return the golf bag at the end of my stay ? May I buy the clubs that I rented ? When booking on line, you are sure to find at the airport of your golf destination the clubs and accessories that you have selected. You will travel lighter and free of mind, without worrying about delivery delays, breakage or theft of your own clubs and without paying excess luggage fees invoiced by airline companies or cabs. It is much more convenient and simple to travel this way! In addition, you benefit from a 10% discount on the price invoiced at the desk to the customers who did not book on line. All those who selected the Golf Clubs & Drive Offer will benefit from a specially simplified, fast and efficient service: you will receive at the desk the keys of your car and you will be allowed to drive immediately because your golf bag has already been placed in the boot. Based on our long experience as passionate golf-trotters, these drawbacks are numerous and important. First, the golf bags are heavy and cumbersome. If you bring with you some luggage and if you travel in couples, you will soon find yourself overwhelmed by all the parcels to carry in the airport. Even cabs will charge you extra fees for each luggage. Then, they will cost you more and more to carry in the plane because most big airline companies tend to align themselves with the conditions decided by the « low cost » companies in terms of « excess luggage fees ». Depending on the concerned companies, penalties can raise from 50 to 100€ per bag and per flight (one way and return). Finally, you will remain under stress until you pick your golf bag at the special desk for cumbersome luggage in the arrival terminal of the airport of your golfing destination. 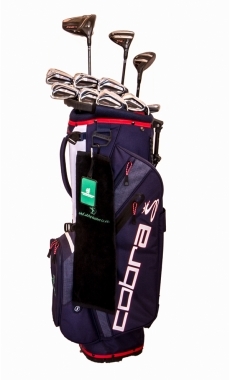 More and more golf bags arrive late, damaged, broken or get lost. The same stress will reappear when you return home! The golf bag with your own name tag is waiting for you at the arrival terminal of the airport of your selected golf destination. The professional MyCaddyMaster team will present it to you personally with fruitful advice to ease your stay. Our desks are very easy to find in the airport by following the signs « car rentals ». This information is only indicative and does not commit the responsibility of MyCaddyMaster. It stems from the research achieved by the MyCaddyMaster teams in February 2014. It may be modified any moment by the airline companies. In order to make sure that these conditions apply to your own case, we invite you to read the specific terms and conditions of your flight. Taking into account the difficulty that we faced to search and compile this information, we wish you good luck in your research! Air France Ticket Prix Mini No free allowance 30€ for the 1st baggage, 70€ for any additional baggage 23 kg Golf bag including clubs and golf shoes is considered as one piece of baggage. Its transport is included in the Baggage allowance. It is free for Flyuing Blue Golf members presenting at the check-in desk the special voucher to be printed. Air Transat Ticket Economy 2 pieces free (Max 50kg total, 158cm) 75 CAD$ if overweight; 100 CAD$ for 1st additional piece; 200 CAD$ each additional piece thereafter Golf equipment (14 clubs, 12 balls and 1 pair of shoes) free within weight and size allowance. Excess charges apply above this allowance. BINTER Free allowance up to 20 kg For the golf equipment, it is allowed an additional 5 kg of luggage subject to space availability in the hold and advance booking. British Airways Ticket Economy Only 1 free baggage max 23 kg 50€/bag if the allowance is exceeded 23 kg The bag must be properly packed but measure up to 330 cm (190+75+65) and weigh up to 23 kg. A large golf umbrella may count as one baggage. Emirates Ticket Economy Free up to 30 kg One golf equipment (1 set of clubs and 1 pair of shoes) may be carried free in addition to the normal baggage allowance. Generous policy. FINNAIR Ticket Economy Only 1 free baggage max 23 kg/158cm 40€/bag if the allowance is exceeded for the 1st and 60€ for the 2nd 23 kg The golf bag is considered as 1 baggage and must weigh less than 23 kg. 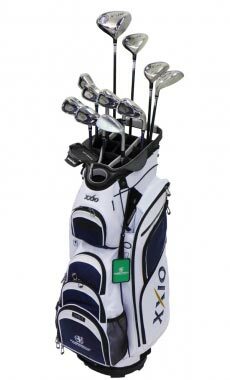 Flybe Golf equipment up to 20 kg may be invoiced with advance booking. Maximum 14 clubs, 12 balls and a pair of golf shoes. 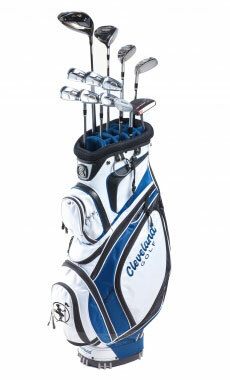 Germania Free up to 20 kg Packed golf equipment up to 30 kg: 50€ with advance booking. IBERIA Ticket Reduced Economy No free allowance 100€/1st and 2nd; 200€ after 23 kg Golf bag including 14 clubs, 12 balls et 1 pair of golf shoes s is considered as one piece of baggage within the baggage allowance. Lufthansa Ticket Economy Only 1 free baggage max 23 kg/158cm 75€/bag if the allowance is exceeded 23 kg transport of the bag is free for the Senators, Circle/Star Allance Gold members. Royal Air Maroc Ticket Economy Only 1 free baggage max 23 kg/158cm 55€/bag if the allowance is exceeded 23 kg Usual allowance is increased by one additional baggage for Gold and Silver Flying members. ROYAL AIR MAROC Ticket Economy I piece free up to 23 kg 1st additional piece: 55€; 2nd: 150€ Golf equipment carried free as first bag up to 23 kg; 2nd bag charged as 1st additional baggage:55€; 3rd bag charged as 2nd additional baggage: 150€. SAS Ticket SAS Go Only 1 free baggage max 23 kg/158cm 60€/bag if the allowance is exceeded 23 kg The golf bag must be properly packed. Sata Ticket Economy Free up to 20 kg Golf equipment up to 15 kg may be added free to the normal baggage allowance. SWISS Ticket Economy 1 piece free up to 23 kg/158cm Golf equipment free if it does not exceed the piece allowance. 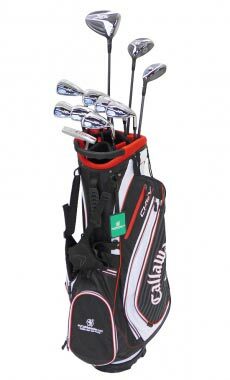 If not: 50€ (Maximum 1 set of clubs, balls, tees and 1 pair of golf shoes). TRANSAERO Ticket Economy discounted Free up to 20 kg One golf equipment up to 10 kg and 190 +75+65 cm per passenger may be carried in addition to the free baggage allowance. UIA Ticket Economy 1 piece free up to 23 kg/158cm One golf equipment (1 set of clubs and 1 pair of shoes) within the free baggage allowance. If not, one extra bag: 75€ each. UNITED One item of golf equipment accepted per passenger: I set of clubs, balls and 1 pair of shoes properly encased in a suitable container up to 158cm (L+H+W). Any confirmed booking by MyCaddyMaster is final when the amount is debited from your credit card. If you wish to modify this booking, you are invited to contact us as soon as possible and to inform us of your wishes. We shall do our best to get you satisfied depending on our available stocks and the time remaining until the date of your arrival. You just need to present the MyCaddyMaster personnel in the airport desk with the booking voucher, your credit card and your official identity document (valid passport or Identity Card). Our professional team helps you in choosing the clubs that are best adapted to your personal characteristics. When booking, clearly indicate if you book a golf bag for an adult man, a senior man or a Lady, right handed or left handed, dedicated, regular or unfrequent player. Our specialists selected the best brands with the latest technology to bring you maximum pleasure on the golf courses of your vacation period. The MyCaddyMaster clubs are quite new and adapted to the characteristics of each golfer’s segment. Due to the technical improvements brought every year by the manufacturers, the clubs that we recommend to you are certainly easier to play and you will be tempted to buy them after testing them during your golf break. If you wish to buy them, we shall do our best to send you an offer at a very attractive price. You must contact us in the website as soon as possible in order to modify the dates of your stay in the golfing destination and to get you satisfied according to the golf material availability and our Terms and Conditions. Not at all, both bookings are independent but complementary. In both cases, the MyCaddyMaster team will welcome you at the MyCaddyMaster-Hertz airport desk of your golf destination and will present you with your personalized golf bag. 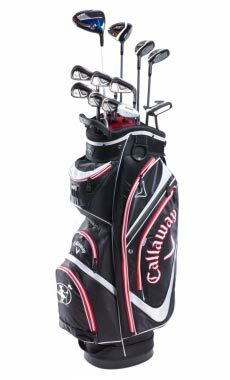 You just need to select on our website the special offer Golf Clubs & Drive, after having chosen your personalized golf bag. Depending on the booked golf bags, you will receive a selection of Hertz cars adapted to these bags and their volume within the boot. Choose the car which best suits your expectations and finalize your order. When you arrive at the airport of your golf destination, you will find the MyCaddyMaster-Hertz desk and our personnel will present you with the keys of your car. The booked golf material is already located in the boot. It is simple and very convenient! MyCaddyMaster only selected clubs which benefit from the latest technological innovations brought by the leading manufacturers. You will have a broad choice of clubs among the following great brands: Callaway, Srixon, Taylor Made Mizuno, Cleveland, XXIO, and Cobra. You can cancel your booking by connecting to the mycaddymaster.com website and by reaching your account from the home page. By clicking on « my bookings », you select the booking that you want to cancel and click on « cancel my order ». Our Terms and Conditions clarify the cancellation conditions and the amounts charged depending on the delays from the expected date of arrival. After successfully finalizing your booking, you will receive an email confirming your booking. You will then be able to print or reprint, in case of loss, the booking voucher by connecting to the mycaddymaster.com website and opening your account from the home page. You can then enter your login, click on « my bookings », select the concerned booking and print it. Not at all, renting a car is just a complementary option to the renting of MyCaddyMaster golf clubs. We have signed a partnership agreement with the Hertz Company, very well located in all airports of golf destinations, but each customer is free to rent his car as he wishes. In any case, you will be able to collect your golf bag at the MyCaddyMaster-Hertz desk. After having chosen your golf bag according to your personal characteristics and your frequency of play, you can “modify” the content in replacing the driver or the putter by another type that you prefer or “add” clubs (sand wedges for example) and/or accessories (golf balls, binoculars, …). Never, if you have selected the Golf Clubs & Drive option, you will be presented at the MyCaddyMaster-Hertz airport desk with the keys of the Hertz car that you booked on line. 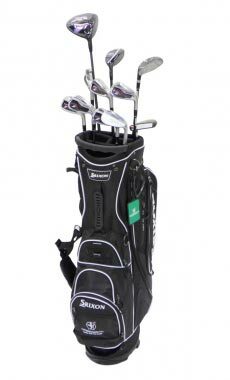 The golf clubs that you booked on the MyCaddyMaster website have already been placed in the boot of your car. You can drive out of the airport straightaway! As much as possible and taking into account our available stock, if you contact the MyCaddyMaster airport desk that rented your bag when you arrived, we shall do our best to provide you with the type of clubs that you wish to test and make your stay very enjoyable. We can also rent to you additional clubs that you will enjoy playing: driver, wedge, and putter. The mail confirming your booking will be sent to you immediately after the amount is debited from your credit card. It will tell you that your booking has been taken into consideration and confirmed. You can subscribe on line, when you are booking your bag, a special insurance covering the risks of damage, breakage and theft for a minimum amount of 1.5€ per day and per golf bag. This insurance offer is presented in detail in the MyCaddyMaster Terms and Conditions. In case you forget it, you can request your password on the home page of our website by clicking on « my account », then on « forgot your password? ». Our desks are waiting for you seven days a week at the arrival time of your plane that you indicated to us when booking on line. Please inform us in advance of any change in the flight schedule, in order for us to maintain your booking. Before flying back home, you must bring back your golf bag to the MyCaddyMaster-Hertz desk where you rented the golf material at your arrival in the airport of your golfing destination. If you selected the special offer Golf Clubs & Drive, drive the Hertz car to the location « rental cars return » indicated in each airport, leave the golf bag in the boot and present the professional Hertz-MyCaddyMaster personnel with the keys of your car. It is even more convenient and faster! In case of no-return of the golf material at the expected time, your credit card would be charged with additional fees according to the Terms and Conditions that you signed when booking on line. Yes of course, if you send us a mail through “contact” on the home page of our mycaddymaster.com website. We shall give you as soon as possible the conditions and the best price available for the clubs you rented, depending on their age and the level of usage.